The Flying Gecko lives in trees in the rain forests and have a tendency of hopping from branch to branch . 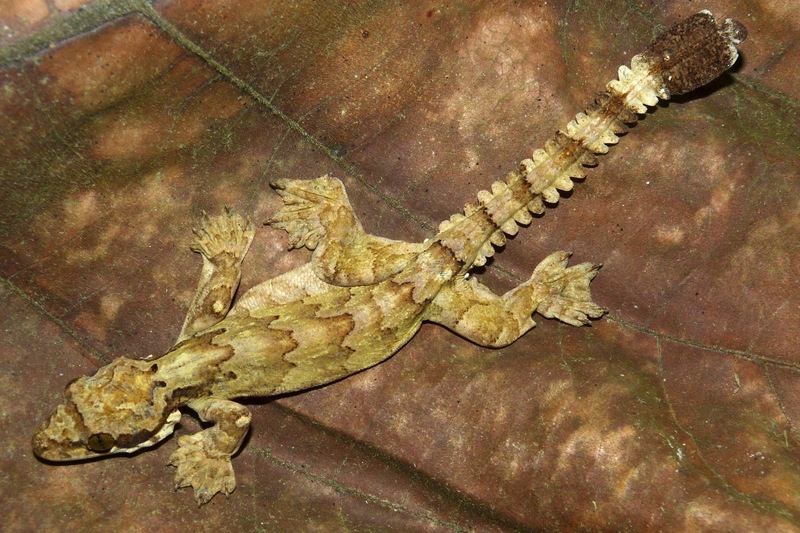 They do this to steer themselves clear of all the predators that other species have to deal with on the ground..
Like many other gecko species , "Flying Gecko" have evolved intricate toe pads with microscopic hairs that can adhere to almost any surface . They are even observed to adhere to glass surface. Flying geckos require among other things a 15-20 gallon terrarium and careful handling. They should be handled as little as possible due to possible damage to their skin.